We designed these stylish pull-up banner stands for our own events. Pull-up banner stands are not really designed to convey lots of information. They’re best used to display short, concise points. That’s why we’ve only put minimal wording on this banner stand design, with extra-bold text used to grab attention in just a few places. You can easily see the wording from quite a distance away! Banner stands work great as a backdrop to events, so we wanted to make this banner stand interesting to look at. We can then direct people to our website for further information, or hand out leaflets or brochures to give people additional marketing material to take away. We also branded these banner stands in our corporate colours, with an eye-catching slanted design. 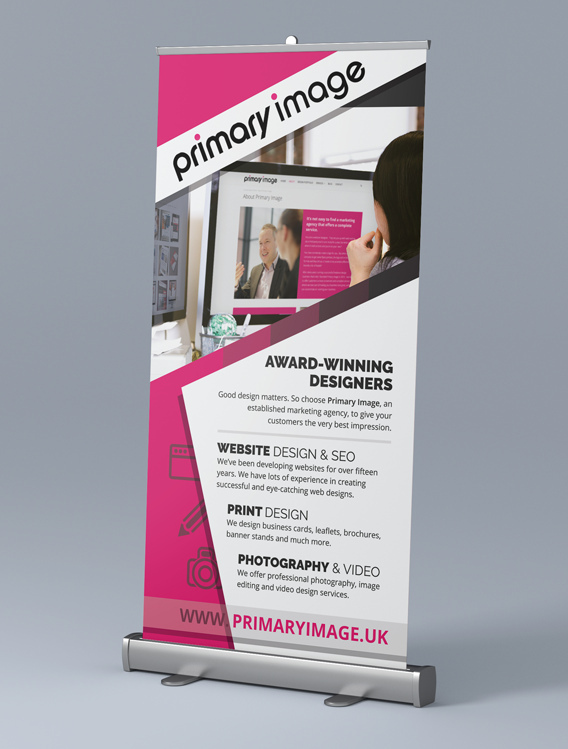 These pull-up banner stands are slightly wider than usual, with a 1000mm width, and standing 2000mm tall. The banner material is 300mic polyprop, which makes the display lightweight and easy to carry. As with all our banner stands, they come with a padded carry case and shoulder strap, meaning they can be transported effortlessly. 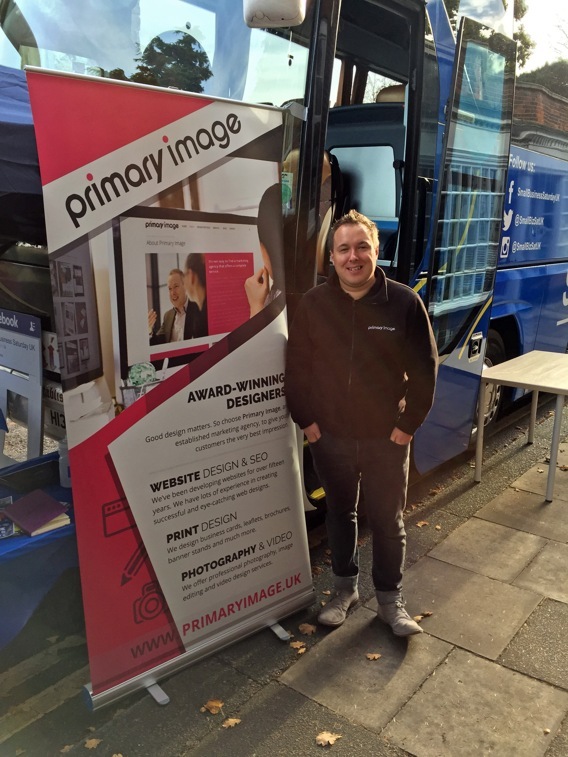 These banner stands were first used at a Small Business Saturday roadshow in Leigh-on-Sea, in South Essex. It certainly made an impression up against the other banner stands! Need a pull-up banner stand design for your business? Check out our banner stand page if you’re interested in our design services!